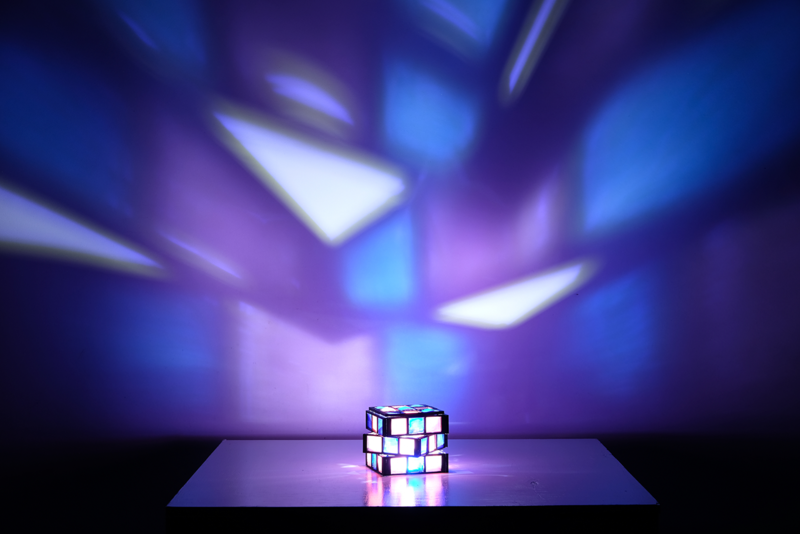 A 3d printed light casting cube that was developed for intro to 3d. Object resembled a rubiks cube. Object was 3d printed in modules and later assembled by hand.